A Liability Extension to include flat owners, occupants and all relevant parties, including managing agents: this not only provides these parties with essential cover in respect of their involvement with the property but also acts as a subrogation waiver so they will not be held financially liable for damage to the block following a claim. An Unoccupancy wording which ensures flat owners are not left without cover due to circumstances beyond their control and that the policyholder, or agents acting for them, are not expected to comply with impractical inspection clauses to maintain cover. 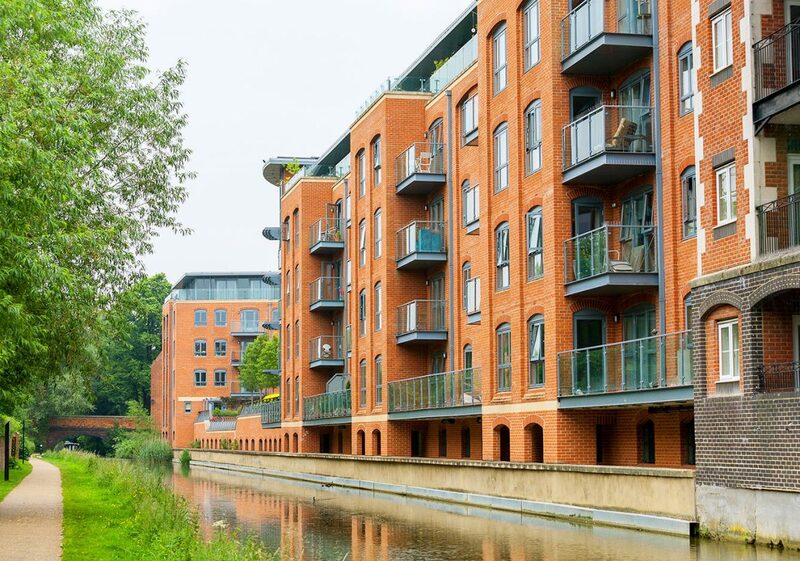 Alternative accommodation up to 33% of the buildings sum insured which takes into consideration flats of differing sizes and has no time limit on the period of indemnity. This is important as rebuilding blocks of flats can take several years. Loss of rent not only to the policyholder but also to flat owners who have let their flat. A Non-Invalidation Clause which prevents the policy being invalidated by circumstances which have arisen outside the knowledge or control of the policyholder. Index Linking on an ongoing monthly basis, including into the life of a claim, rather than just at renewal or the option of a Day One Uplift. This provides vital protection against the effects of inflation and ensures the sum insured remains adequate. No Average Clause wording thereby preventing any further financial loss in the event of under-insurance. However, it is important that the sum insured is reviewed regularly and a program of reinstatement cost assessments (RCA) is in place. When damage or loss occurs to a block of flats it can impact on many households. By ensuring the appropriate cover is in place, innocent flat owners can be spared potentially significant financial hardship in addition to the disruption caused by the damage. These features are designed to protect the interests of flat owners and are available in most of our products. Our unique focus and understanding of flats enables us to offer covers specially designed to respond to the leasehold flats market. Terrorism Insurance has remained a controversial insurance element of block buildings policies because of the cost implication. Why should your client take Terrorism? Simply they may need to take Terrorism to meet the terms of their lease. There was a ruling by Upper Tribunal (Lands Chamber) in the case of Qdime Ltd and (1) Bath Building (Swindon) Management Company Ltd (2) Various leaseholders as identified in the LVT decision – the ruling was that Terrorism cover is required to discharge their lease as explosion is a peril recommended by the CML (Council of Mortgage Lenders Handbook section 6.14.2) and to not have Terrorism cover, would not be fully insuring for the peril of Explosion. This is a very simplified version of this case, for more detailed information on this case please refer to this article written by our MD Paul. Cover has been available since January 2003 under the Pool Re scheme on all risks basis including nuclear, biological and radiologicaly means, this was as direct response to an ever changing threat. We only offer quotations on Pool Re terrorism, care needs to be taken with other Terrorism schemes to ensure that this risk is covered. It is a statutory requirement for a passenger lift to be inspected by an independent party twice a year and a communal boiler once a year. We can arrange this for you along with sudden and unforeseen damage cover in order that the covers dovetail together to prevent any grey areas. A vital cover for all Directors of RTM, RTC and Residents Association – they are personally responsible for decisions that they make regarding running the block. Our Elements policy combines both recommended covers click here for more details.